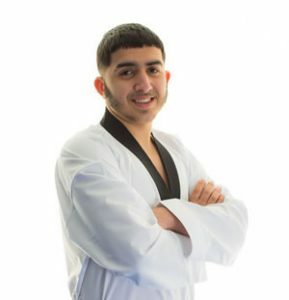 I started taekwondo about 3 years ago. I enjoy the sparring and being an assistant at the club. I like to see how the student’s progress. I work hard in class to ensure that I pass my grading. I won a gold medal in the British National Championships. I won gold in the Yorkshire Youth Championship. I have a Level 3 Corner Judge Qualification.